If you’ve met me or can just tell from watching all my previous videos, I am probably the happiest, most positive person you’ve ever met….and why shouldn’t I be? I’m make LIVE weekly motivational videos that you guys love and have proven by subscribing to my channel, I have teachers and parents tell me that their students and kids talk about my channel and how much of a influence they’ve had on the students. I work at a school where all the students love to see me and love when I teach in their class and have given me standing ovations, they say Hi, Hey, and Whatsup to me in the hallways, they have called me the coolest, the best, a legend lol now who wouldn’t want to hear that kinda positivity and reaction wherever they go, simply, simply by being you? I have kids talk to me about my motivational videos and how they have helped them and have recommended my channel to their parents. I have other teachers that tell me that what I teach and how I get through to the students are making a clear positive impact on their lives. Now, I create designs for apparel that people love and buy. Yes, spend money on something that I created. 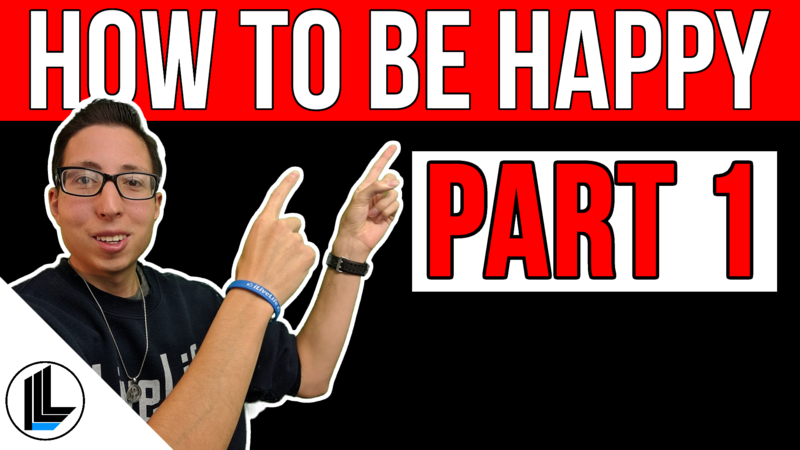 I have no reason not to be happy for a million other reasons, but you’re not here to listen to all the reasons that I am happy…or maybe you are but lets move on anyway so YOU can learn 5 different ways to be happy. The #1 way and you NEED this in order to be happy…is a growth mindset, a growth mindset for happiness. Because if you do not believe that you can be happy then why are you even trying to learn how to be happy? #2- Look for the good. Be on the lookout for it. Believe me, I understand we all have bad days. That’s why I trained myself to only focus on the good the part of the day. Yeah maybe, lets just say it’s Tuesday and my morning just was awful, nothing went my way. But then in the afternoon everything was awesome. Well, than to me when go to sleep that night and reflect on my day…I am going to say you know what? I had a great day today. You see? It’s all about looking for the good. #3 is Social Connections. And guess what noones going to wanna be your friend if you don’t show some compassion and kindness to others. Subscribe to my channel (youtube.com/ilivelifeill) for weekly LIVE videos where you will learn life hacks, motivational tactics, and to follow the I Live Life brand on our journey!